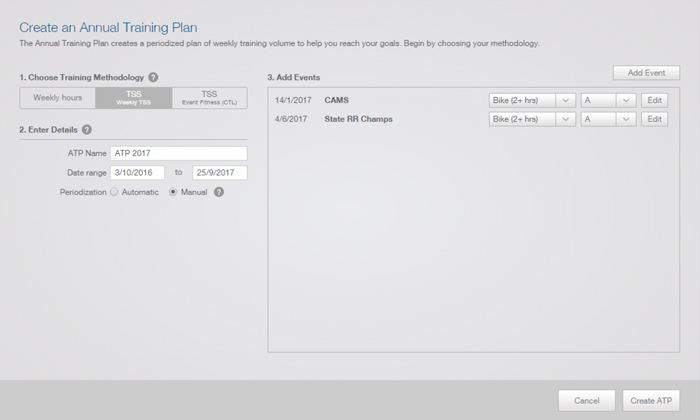 TrainingPeaks recently released the new ATP (Annual Training Plan) and we have been using it to plan training for athletes using TSS instead of duration or distance. Planning by TSS is different from planning by distance or hours. 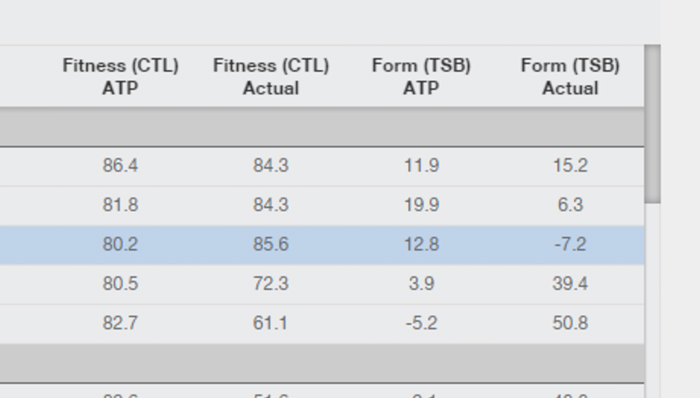 First you need to understand the relationship between CTL (fitness), ATL (fatigue) and TSB (form). You also need to have a good idea of what you want those numbers to be for your athlete’s target events. Having said that, the new ATP will go a long way to helping you get those numbers right. 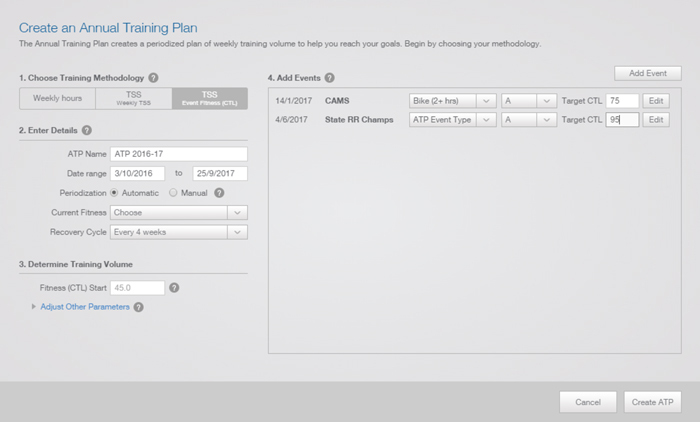 The first thing you notice when you create a new ATP is that you have a couple of new options, plan by TSS per week or plan by event fitness (CTL). Planning by event fitness is a great way to quickly get up and running with the new ATP. 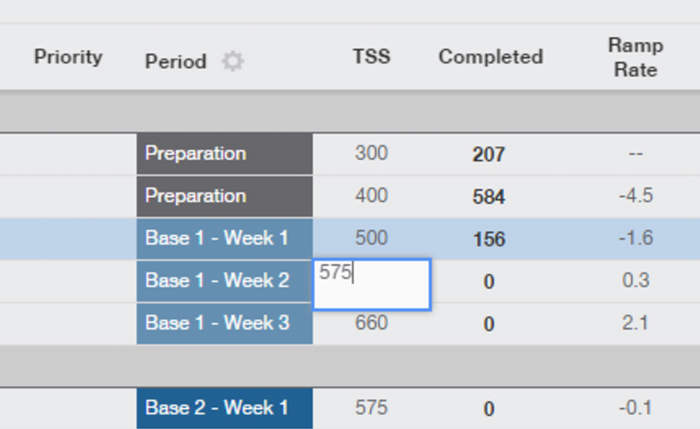 Once you have selected your target events and entered the required CTL for the priority A and B events, TrainingPeaks will do most of the work for you. Simply enter the date range, current fitness levels, starting CTL and hit the “Create ATP” button. There are some new things in here you have not seen before, the first of which is the CTL and TSB graphs at the top. This allows you to quickly see the progression in fitness and when your athlete is due to come on form. In this example, we can see that the athlete is peaking for a couple of events, one in January and another in June. 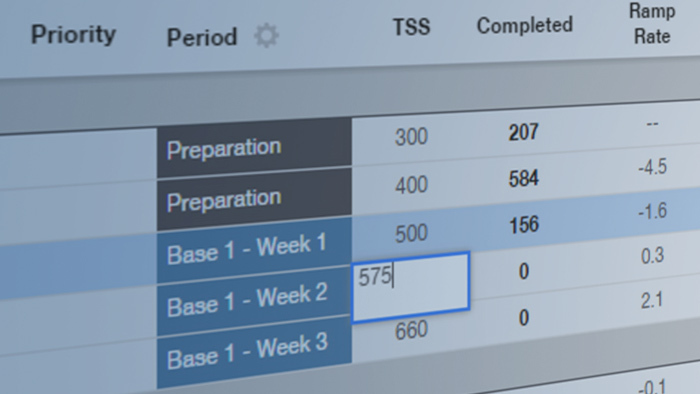 If you use the automatic options, TrainingPeaks will put in all the training blocks for you, it will set all the weekly TSS targets and ensure you don’t go over the recommended ramp rates. It aims to get the TSB around +10 for your target event and usually gives a couple of easy weeks beforehand. You can use these to see if your athlete has deviated from what you had planned. In this example, the athlete has done too much and probably needs to be reigned in! If you want to set up the ATP manually and have full control over it, you need to go back and create a new ATP and select the manual option. Note: you can’t have two ATPs covering the same time period at the same time. Ramp rates can also be adjusted to other numbers if you have athletes who require different ramp rates. Once your athlete has been using the new plan for a while, you will be able to see actuals plotted against planned values in the graph at the top of the ATP—actuals show as dotted lines. Some adjustment will be needed as the athlete progresses through the plan, depending on how much they deviate. Weekly TSS columns can be dragged up and down as well as entering a value in the table below the graphs. 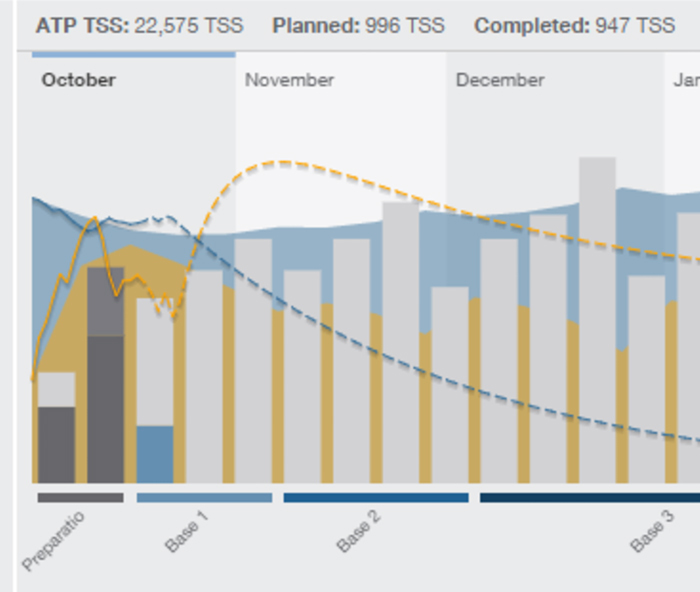 Planning with TSS for workouts has been in TrainingPeaks for a while now and it couples up nicely with planning by TSS in the ATP. Setting workout compliance by TSS also makes a lot of sense as it ensures your athletes are doing the right amount of work at the right intensity at the right time. In our experience we have found that athletes find this more difficult to comply with than duration or distance, so you will need to guide them when you start using these new features in TrainingPeaks.